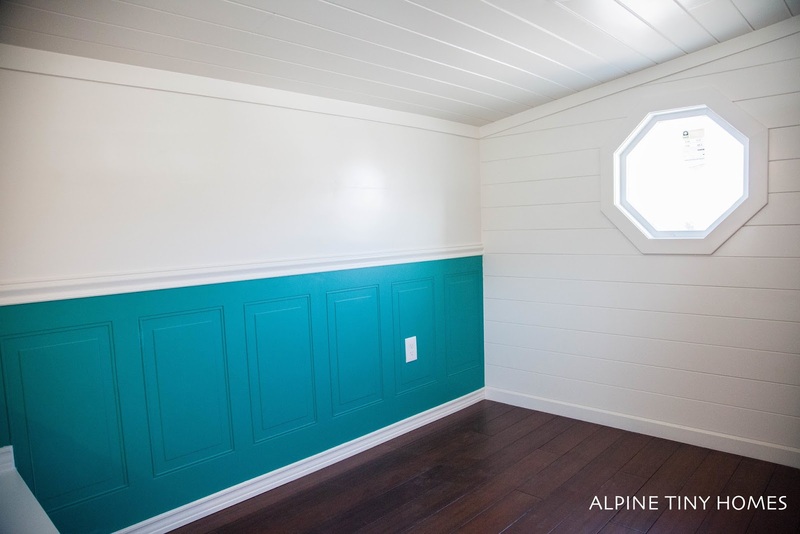 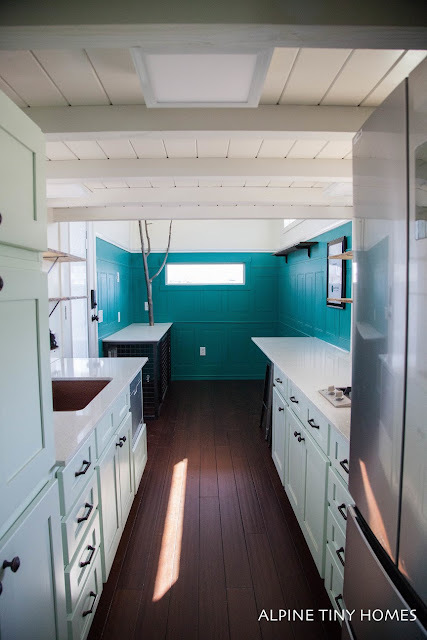 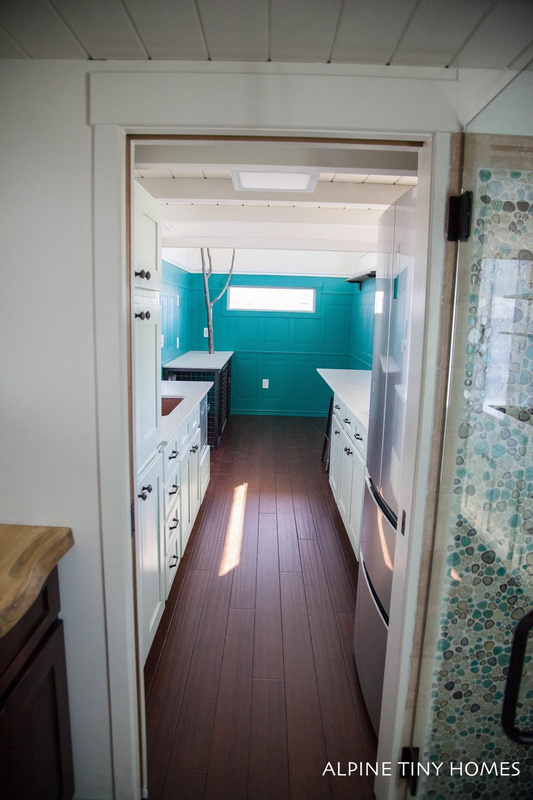 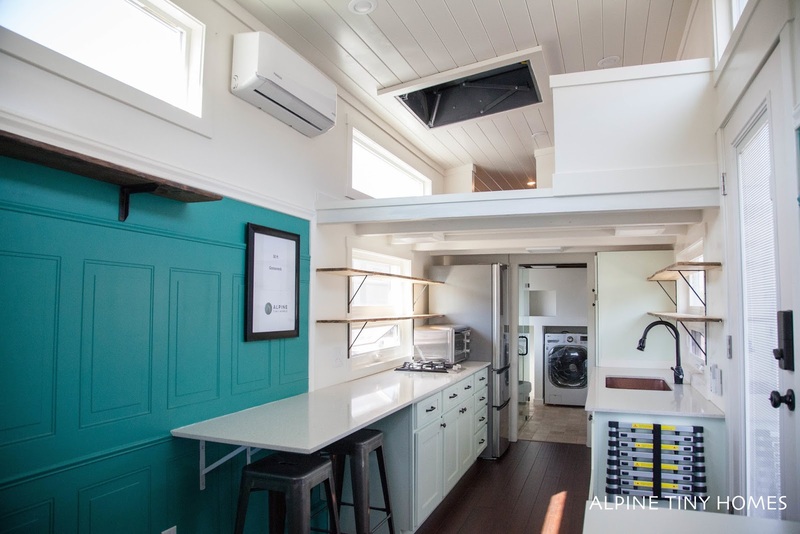 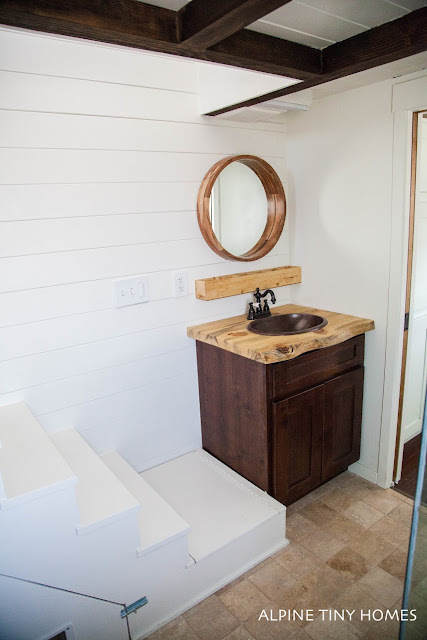 Alpine Tiny Homes has just released photos of their latest tiny house and it's a beauty! The 315 sq ft home is built onto a 30' gooseneck trailer and was a custom build for clients in Santa Rosa, California. 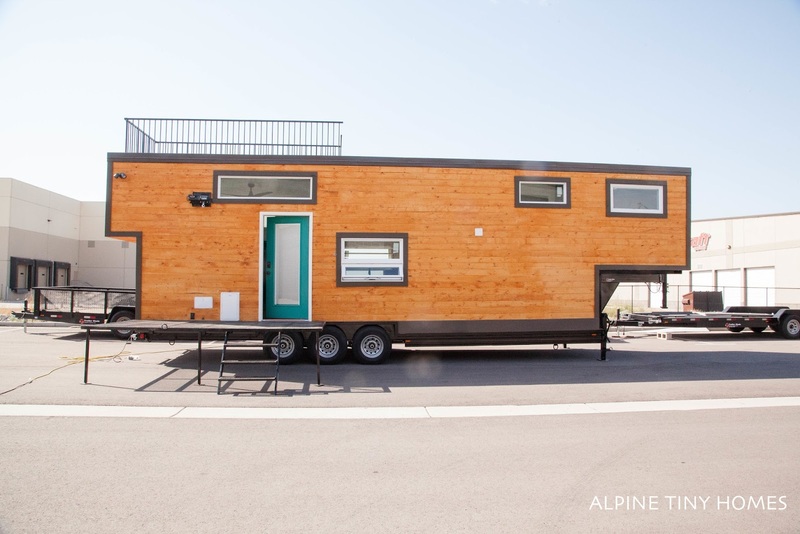 It comes with two decks; one on the roof top and another on the side of the home, both of which can be folded against the house for travel. 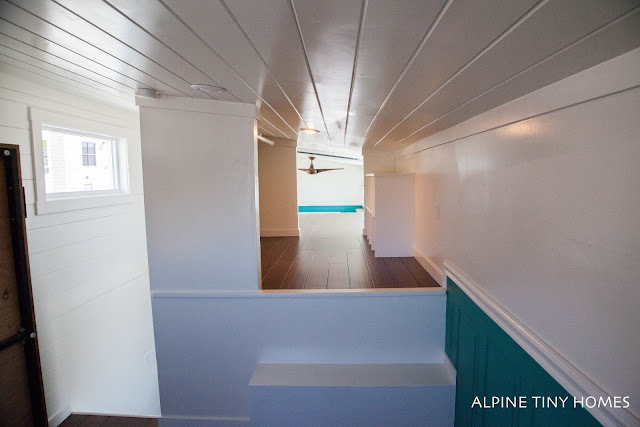 This is also a perfect home for those with dogs! 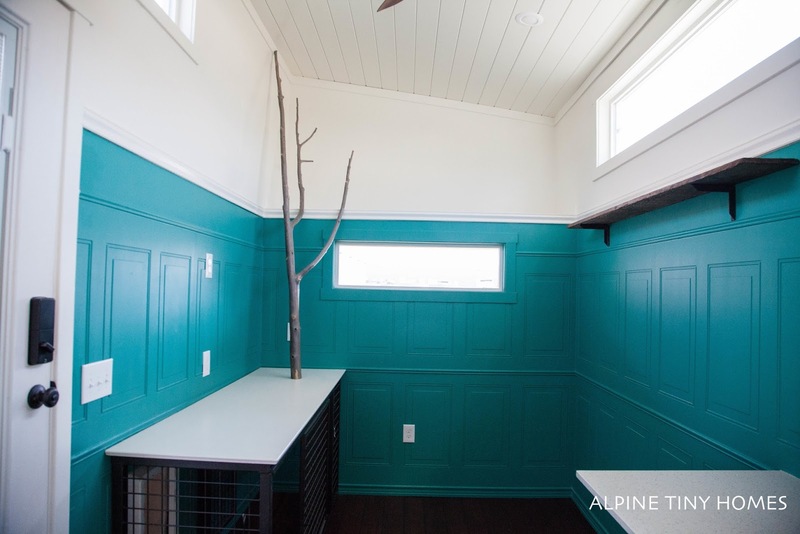 Alpine Tiny Homes added a dog door that leads into a kennel located in the home's living room. 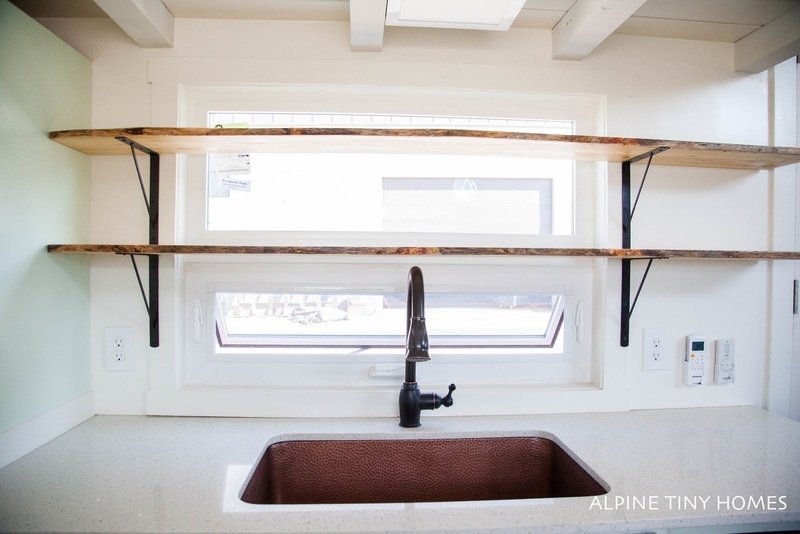 There's also a dog washing station on the exterior of the house, right next to the dog door, with both hot and cold water taps. 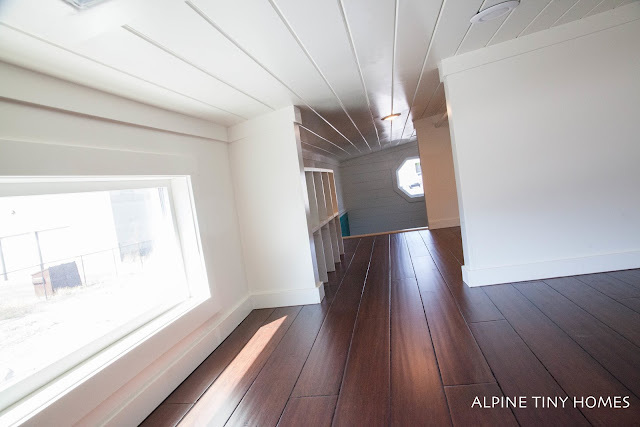 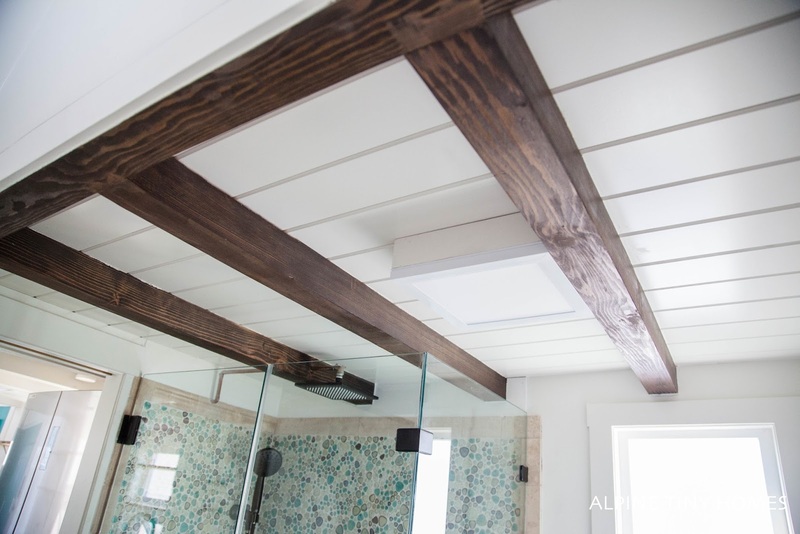 Inside the home is beautiful bamboo flooring with wainscot walls and a T&G ceiling. 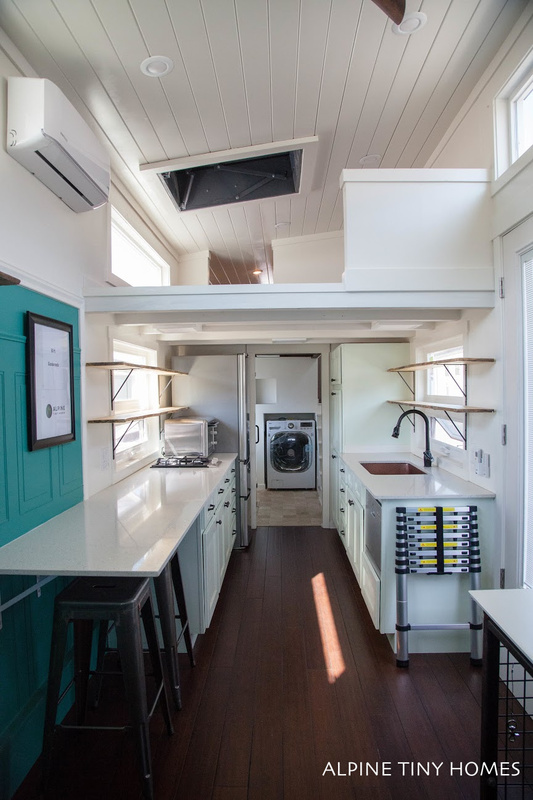 There's a full kitchen, bar-style dining for two, and a living room with a 54" ceiling fan. 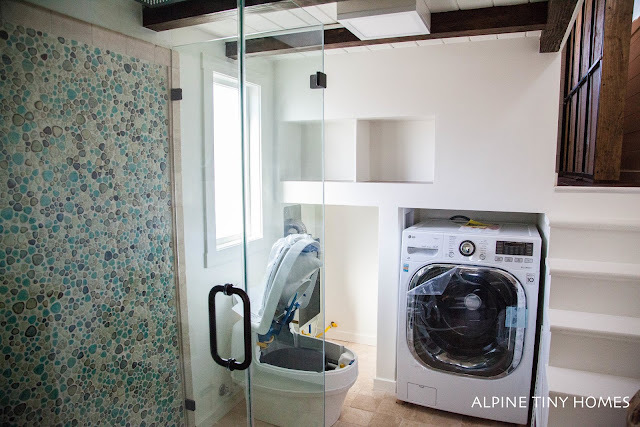 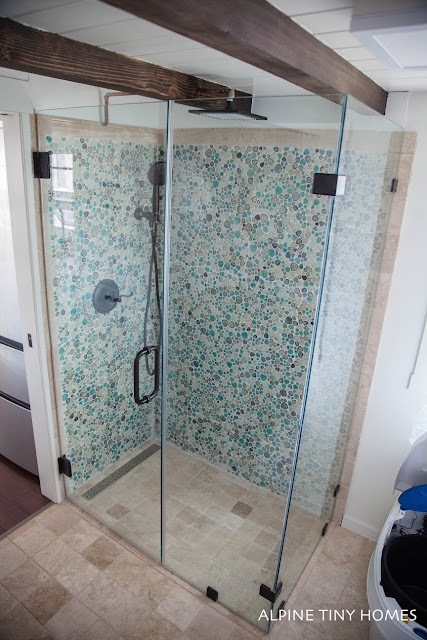 The bathroom features tiled floors, a rainfall shower with glass doors, a composting toilet, and a washer/dryer unit. The master bedroom is in the gooseneck of the home and features a Murphy bed with built-in side tables. 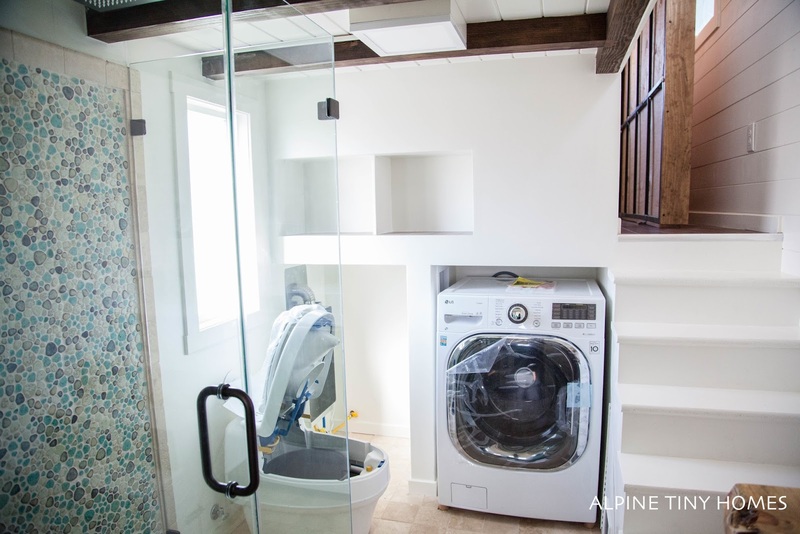 There's also a large closet that includes built-in shelving and a clothes rod. Additionally, there's a guest loft over the kitchen with enough room to fit a king-sized bed. 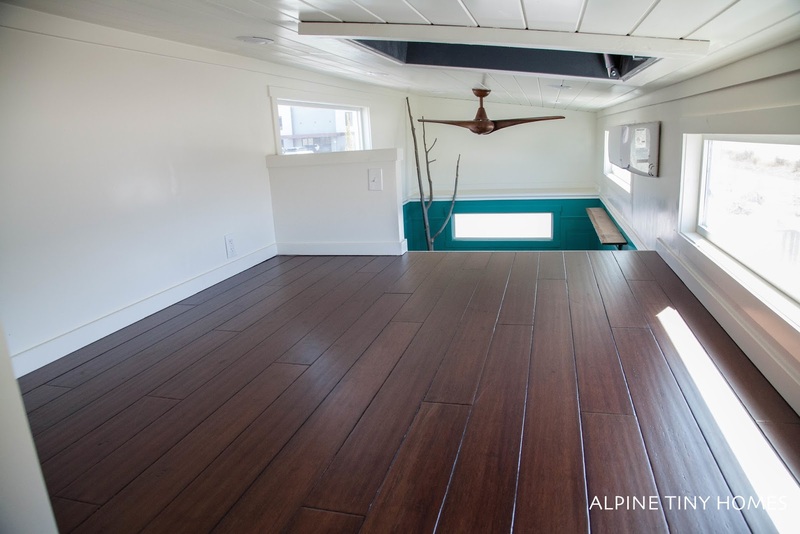 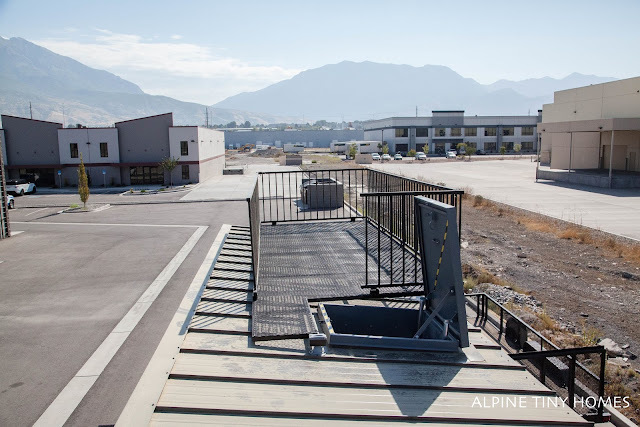 The cost of purchasing this exact home from Alpine would run you about $75,000. 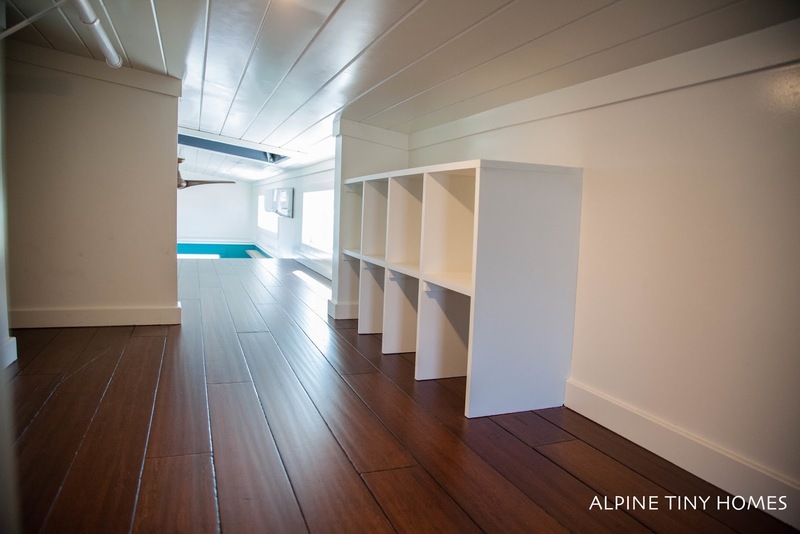 For more information and inquiries, contact the builders here!